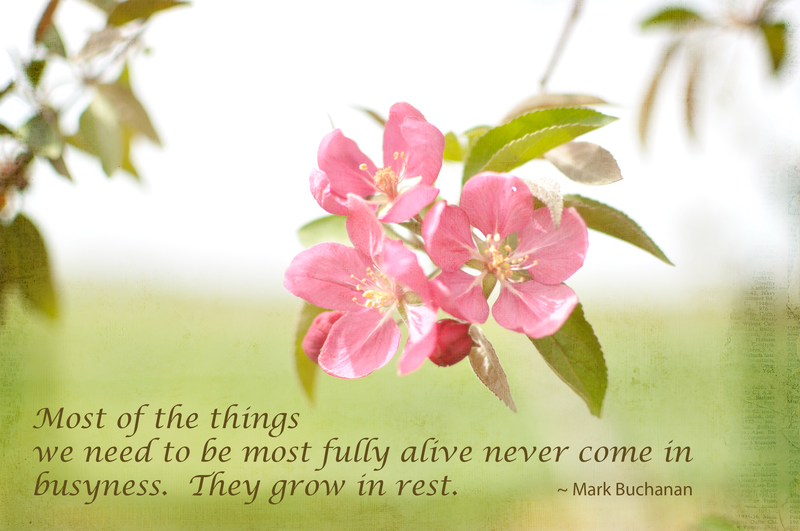 Today’s picture incorporates blossoms on my crab-apple tree, Kim’s “simplicity” texture, and a quote I found online about the need for rest from Mark Buchanan, author of a book titled The Holy Wild: Trusting in the Character of God. Oh – and I’m doing a test-run of a new blog format, so I’d love some feedback. What a stunning flower. Visiting from Be Still 52.